Welcome to Riverside Chevy Cadillac! When was the last time you used the word ‘love’ to describe how you feel about your car? At Riverside Chevy Cadillac, we hear our customers say it all the time, and for good reason. Serving drivers from the Rome, Cartersville, Calhoun, GA; Dallas, GA and Acworth, we offer a wide range of new and used offerings from Chevrolet and Cadillac. There’s no denying that affordability is one of the most important factors when shopping for your next car. That’s why we maintain a broad selection of quality and affordable Certified Pre-Owned Chevrolet and Cadillac models and used cars. While these certified pre-owned cars are certainly affordable, they’re also safe, dependable and ready for whatever the road has in store for you! To get the most out of your vehicle in terms of a long-lasting and quality drive, our relationship with you here at Riverside Chevy Cadillac is going to be ongoing. That’s because we want to ensure your safety and driving efficiency via our onsite car service and repair center in Rome. We have the latest tools and equipment to diagnose, repair, and fix your automotive needs, and of course, we only use the highest quality of Chevrolet, Cadillac parts to keep your vehicle integrity high, and you enjoy a smooth drive no matter where you go. Everyone at Riverside Chevy Cadillac is fully committed to providing an exceptional dealership experience whether you’re test driving, financing or servicing a Chevrolet and Cadillac car. If you’re ready to take advantage of our services, come visit us at 100 Hwy 411 E in Rome, GA. We look forward to serving you! 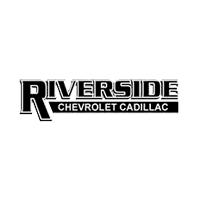 Riverside Chevy Cadillac	34.22236, -85.1519833.